ignite your brand increase your profit. Ignite your brand, increase your profit. Website design in 2019 is more than just search engine optimization (SEO), it is about user experience (UX). Your website should include beautiful-looking design, with a user friendly experience. These details will separate which sites rank from those who are wannabes. But websites are more than just how they look. Websites must also include a branded message that users can emotionally identify with and become loyal to your brand. By using website design, you can achieve this. Through branding visuals and thoughtful keyword messaging is how you will build your tribe and sell your product or service. What are the top 25 website design tips for 2019? Always consider the user when making any sort of updates or changes to your website. UX should always be your priority. Is your site’s web design clean and easy to navigate? Can the customer easily find what they are looking for, including search and a buy button. Keep tweaking your site in order to improve the user experience. This will make Google notice and this should increase your SEO ranking, making it easier for new customers to find you. Because of how a website visually appears on mobile, wide, graphic, diagonal lines are now a big part of website design. This creates visual separation between pages or website topics. Diagonal lines also create separate focus areas for browsers to stop and check out. Because responsive design makes your site one endless scroll, adding diagonal lines means that your web viewers will not not feel that there is a single endless site. When they scroll down and see the separations, they can easily spot what they are looking for and take action. Instead of choosing one or two colors for your site, you may choose to brand your products with distinctive, bold colors. By choosing a single color for each of your product or product types, you are subconsciously creating an organizational tool for your customer. If they are looking further into your site for more information or other products, the color branding is a subliminal code that they are in the right area. While color can be a big part of website design, big areas of white space can also help emphasize color branding and keywords. White space is also considered more elegant and refined, giving your brand a professional, upscale look. White space helps with viewers who are overwhelmed with decision fatigue. The material that is presented looks more organized, and the viewer knows where to look. The look and visual marketing of your brand through color and design are just part of your website design branding. Creating branded keywords is also a must for your product or service. These branded keywords are especially important if you are emphasizing them through the visual tool of white space in your website design. Branded keywords will distinguish and separate you from your competitors. Compare your keywords from your top competitors. Next, check Google or other sites where you conduct your keyword searches. Then identity what branded keywords are missing from your website. Make sure that you consider words that give your brand authority and demonstrates expertise. Your SEO will also benefit as Google looks for branded keywords in determining who are brand experts. Footers have experienced a change, thanks to website development. Besides information on your organization, including contact info, you can use some clever website design motifs to make your footer stand out. Consider an infographic or a bold shape of color with branded keywords, statistics or interesting information on your product or service that you offer. Your footer can offer an opportunity to help your viewer get to know your business. This is an opportunity to show that there are people behind the website, and they are there to help the customer achieve their goal or satisfy a need. Animated illustrations and 3D illustrations are an emerging website design trend that is taking off in 2019. These sorts of design elements offer website development opportunities to allow customers to interact with your website, and offer an emotional connection. Animation can visually illustrate what your product or service can do. This visually pleasing design aesthetic is a modern way to demonstrate products that may otherwise be difficult to visually showcase. One of the top 2019 website design trends is breaking up the traditional newspaper style setup. Offering such choices as vertical scrolling or setting up text in a non-traditional way is going to capture the eye of the website viewer. Use circular shapes in vibrant colors. Mold text around those shapes for striking graphics and valuable information. As more and more homes now include Alexa, Google Home or Siri, there is currently a larger need to consider voice searches and voice commands in your website development. Voice searches means you need to consider natural voice commands when creating material. You may first need to consider what questions will be asked when customers are searching for the type of product or service your provide. Take those types of questions that potential viewers will ask and create content. Not sure what customers are asking? Check your social media pages, or your competition’s page and create content based on the questions people ask. Responsive Design needs to be a given in 2019. Nearly half of all local Google searches are on mobile, so making your website design mobile friendly is now a requirement. Hand in hand with responsive design are bolder, shorter blog titles because short titles visually look better on mobile. This website development also packs a powerful punch when a short title is blazoned across the page in a bold color. This is effective website design that can solidify your branding statement, and create an emotional connection with your customer. The most SEO friendly website development is to place keywords closer to the beginning of the title. Thoughtfully consider your branding keywords, product keywords and main keywords and use them in all of your titles. In considering website development, always consider placing keywords in subtitles. These subtitles should be in a larger font than the rest of the text, showing organization and hierarchy. This is a website design technique that will help viewers find what they are seeking, making this a better user experience. Video is on the increase, especially with mobile. Curating and producing videos that relate to your brand and content will ultimately increase your ranking on Google and website traffic. Use every opportunity to include video in blogs. Consider video options for articles to replace reading, and watch your site rank. If your website is slow, your potential customers will leave and head towards your competitors before they get to view your content. Nor do you want your perfectly produced videos to wallow in a slow moving oblivion. Worst of all, a slow moving site means that your Google ranking will suffer from the the drop rate. Speed issues can range from your website provider to making sure your photos are compressed. Even old code can adversely affect your site. This is generally an easy fix. Talk with your webmaster and internet provider to ensure that you have maximum speed on your site. You do not want to turn away potential customers. Create a FAQ page that answers potential customer’s questions about you and your product or service. This will help you rank better and increase website traffic. Be sure to include your main keywords that your customers are looking for in searches. Bold graphics should be part of your website development strategy. Graphics help the viewers easily navigate your site. Graphics can be an extension of your branding or it can be part of your intentional website design. Website development should also include creating unique, branded infographics. You want to demonstrate that your site is the credible expert in a product or service. An informative infographic will have two or three bold colors and a striking design that takes an important concept or idea and makes it simpler for customers or the media. One additional benefit of informative infographics is that this can be shared on social media. Make your valuable infographic a major part of your social media campaign, label it with your website information and proudly share this infographic. Should this infographic go viral, this will establish your site’s authority on your subject. Don’t be surprised if publications ask to use your infographic, further establish your product authority. When discussing website development, consider offering less choices for your viewers. Too many choices on a topic or product can be overwhelming. Making sure your web design reduces multiple choices into bite sized pieces by using drop down menus, or even an abbreviated list of choices will help keep your customer on the site and closer to closing the deal. Visual grids are a way for website design to organize a lot of information on a webpage and compartmentalize this information into major sub topics. While this resembles old style newspaper design, you can use website development strategies such as color and graphics to highlight different parts of the grid that the viewer selects. Your website design goal is to create a spiderweb of information on a topic. By starting out with broad keywords, you can create header pages with the broader keyword and link all of the smaller keywords articles to the header page. This highway of keywords running back and forth to the header page establishes your site’s authority and helps your site rank on Google. This is because you are sharing a lot of useful and accurate information. You have established your site as a trustworthy authority. Google wants to create a database of the best information, and being intentional in your keywords and internal links will help demonstrate you know everything about your brand. Getting backlinks is one of the toughest tasks for a brand. One of the most effective ways of garnering backlinks is to send out press releases on a new product, service or event. This allows respected media sources to write about the subject of your press release and link to your site. The goal is to get a cornucopia of trustworthy sites to link to your website. These backlinks are gold and help you establish yourself as an expert and continue to rank. This is also an opportunity to use a branded infographic. This can visually enhance your press release and give the other sites a visual to include in their story about your press release information. One of your top website development strategies is to earn trust from your customers and within your industry. This means that you have backlinks from quality, organic sources. This means that your website is fast, and is mobile friendly, offering a first rate user experience. Make sure you are up to date with voice queries and video, as well as visual graphics and color coded branding. Trustworthiness means that your content is always current and complete. You have considered all keywords and customer questions. You provide accurate information that answers customer questions, or potential customer questions. Trustworthiness means that your first priority is your customer, and Google will reward you for this. Although Google has been the main algorithm that has concerned website development and website design, Alexa and Siri are rapidly becoming players in determining SEO. Because of the home devices, and vocal search inquiries, natural language is increasingly important for SEO results. Now that there are more devices, the natural language influence will continue to influence your SEO ranking. When updating your website for 2019 always remember that website development means that your organization is continuously working on your web design. Thoughtful website design will improve your SEO and Google will reward you with a higher spot on the search engines. Google rewards websites whose user experience is the top priority. They want authoritative sites that are professional and give accurate and easy to find information to viewers. With that in mind, thoughtfully begin your website development and watch your numbers soar. For a complimentary 15-minute marketing consultation with D2 Branding, call us today at 918-520-8012 or visit our website at www.D2Branding.com. Learn more about how the D2 Branding marketing agency in Tulsa, Oklahoma can help your business grow! When a potential customer discovers your brand online, it’s important that they get the right impression from the start. That’s why having a high quality, professional website design and a clear, effective marketing strategy that targets and converts the appropriate audience is so important. What is the primary goal of the website? What are the secondary goals, if any? Who is the target user? What sources will my traffic come from? What will the website design look like? How often will the website design need to be updated? Once you’ve established your priorities, you can start creating your website design. If you want to create an effective website design, however, there are some other important factors to consider during the process. Below, we’ve outlined ten of the most common website design and digital marketing mistakes to avoid and offer up a few ways to remedy them. As we enter 2019, it’s easy to see that mobile-first website design has overtaken the web; in fact, back in March, Google actively started penalizing sites in the search results that are not optimized for mobile browsers. Since 60-70% of web users today are on mobile devices, having a website that is easy to navigate on a smartphone is of vital importance. If you’re unfamiliar with the concept of responsive website design, it’s when a website design changes its appearance to fit the size of whatever device your visitor is using. For example, the website will look different on a Macbook then it will on an iPhone, changing the layout and design elements to optimize the user experience, no matter what device they’re using to visit your site. This doesn’t just mean the site needs to adjust in size, mind you – the content should be readable on a smaller device as well, so exercise brevity in your copy whenever possible, and utilize plenty of whitespace and clean, legible typefaces for longer blocks of text. Make sure images scale to the appropriate size and don’t become blurry or pixelated, and ensure font colors contrast the background to ensure proper readability. Think about the main goal of your site – when a visitor arrives, what is it that you’re hoping they do? Most users won’t do what you’re hoping for unless you tell them specifically what to do. To accomplish this, savvy digital marketers utilize a call to action (or CTAs) in their web design. Typically these consist of buttons that encourage the user to take the next step in the process – think “Get started” or “Sign up” buttons. Your website design should prioritize getting visitors to take the next step in the process, whether that’s signing up for your email list or moving them towards making a purchase. If it doesn’t, users may get confused and end up leaving your site, costing you valuable leads and conversions. If you aren’t capturing organic traffic from search engines, you’re missing out on opportunities to reach a ton of potential customers. As more and more businesses realize the value of top notch search engine optimization strategies, it’s becoming increasingly difficult to rank for competitive search terms. However, by utilizing strong keyword research, implementing long-tail keywords and key phrases, and optimizing your website’s pages to ensure proper search indexing, you can get your business to the top of Google search results as well. It’s important to note here that there are many companies or “experts” with advertisements on the internet that will claim to boost your website to the top of Google – typically for a large fee. Most of these do not work, and while some of them might work in the extremely short term, they will ultimately be doing your website more harm than good. These companies take advantage of what Google calls “black hat tactics” to get your website to rank in search results; this means that they are manipulating the system to achieve brief success so customers (like you) will part with their money, assuming they’ve hit the SEO jackpot. Unfortunately, when your rankings drop and you reach out to these “experts” to figure out what happened, your customer support calls will most likely go unanswered. Furthermore, if Google discovers that your website has been using black hat strategies to rank higher on their platform, they will issue some serious penalties to your website, making it extremely difficult for users to find you in search results. That being said, it’s best to work with reputable search engine optimization agencies that perform white hat strategies and obtain your website organic rankings – it will take more time, but your results will be much more stable and reliable. One of the most obvious reasons that your website isn’t raking in traffic or converting customers is that you may not be targeting the appropriate audience with your current marketing strategy. If the people that visit your site genuinely have zero interest in the products you’re selling, no marketing gurus or optimization wizards on earth will be able to help boost your conversions. This is where analytics tools (like Google Analytics) can come in handy – by utilizing the data they provide to us, we can examine the traffic we’re currently receiving and the number of conversions we’re getting, then re-structure our marketing strategy to align with the audience we’re trying to attract to our site. Utilizing analytics tools like Google Analytics will help you determine the weak spots in your website design or marketing strategy by showing you in-depth visitor information. Unfortunately, surveys have shown that over 70% of small businesses don’t use analytics tools on their websites. The appealing part of digital marketing is the ability to quickly test, modify, and re-test different strategies, but if you can’t see the results you’re getting, how do you know what to fix? Analytics tools like Google Analytics give you insights on how customers interact with your website design, what keywords they entered in their search query, and conversion tracking, as well as many other features. By having access to this level of insight, we can test and optimize our website design to strategically maximize conversions. We can also determine which sources are bringing us the most traffic (such as email marketing or social media platforms), allowing us to focus more of our efforts on those platforms to boost lead generation. Since user attention spans are decreasing at an incredible rate, making sure your website loads in the blink of an eye is more important than ever; in fact, Google has even begun penalizing sites in search rankings if they load too slowly for this very reason. If your site takes too long to load, potential visitors are likely to return to the search and choose another (faster loading) result. So how do you make sure your site loads quickly? When visitors come to your site, in what ways are you retargeting them when they leave? If you’re unfamiliar with the concept of retargeting, consider this scenario: you’re browsing for a product online but don’t end up buying it. You move onto another website, which then displays an advertisement for the product you were searching for a moment prior. If this has happened to you, congratulations – you’re familiar with the power of retargeting. The other important part of retargeting is simply asking the visitor for their email address; since many people guard access to their email inbox like a prized possession these days, we often recommend offering the customer something in exchange for their information. This could be something like a discounted product, free e-book or PDF download, or whatever else your audience may have an interest in to entice them to part with their beloved email address. Once you’ve gotten their email address, it’s important to be courteous and thoughtful about the emails you send. Don’t overload their inbox with promotions, and don’t send out email blasts without having a specific intent. Growing your email list can become one of the most lucrative parts of your digital marketing strategy, so it’s important to get this right. Likely one of the easiest ways to attract loads of traffic to your site is to publish high-quality content that solves your reader’s problem. Content marketing has exploded in recent years and has helped many brands grow their audience awareness and boost their conversion rates. Google has noticed this, too; they now consider having high-quality content on your site a ranking factor and issue penalties to sites that use low-grade, spun, or keyword stuffed articles. It’s crucial to your marketing strategy to get high-quality content published on your site that is optimized for search engines, reads well and encourages the user to take action. That doesn’t necessarily mean you have to hire someone full time to create the content in-house though; many companies have had tremendous success in outsourcing their content creation to freelancer writers or even content mills. One of the most vital aspects of any business website is allowing customers to easily get in touch with you. Keeping your phone number, email address, or other ways to contact you in a highly visible part of your website ensures that customers won’t get frustrated digging through contact pages or simply leaving the site because they couldn’t find what they were looking for. Another important note is keeping things like your business phone number and physical address up to date on your website. Too often, businesses will list an old phone number they had on their website; this ends up costing you a ton of potential customers when they think you’ve gone out of business. Don’t be fooled though, it’s not just for your customer’s sake – Google also considers a consistent business name, physical address, and phone number to be an important ranking factor. This applies to other things on your website too. If users have a hard time finding the information they’re looking for, it’s likely they’ll end up leaving your site rather quickly. That being said, it’s important to keep things like Frequently Asked Question pages, contact forms, return policies and business hours in easy to find locations. If you’re struggling with this and have a really high bounce rate, it might be worthwhile to invest in some user experience testing. User tests allow you to find out how users interact with your website, the thought processes they experience when viewing your content, and whether it’s easy for them to engage with your website properly or not. A big marketing misstep is to rely solely on paid advertising on the web; while pay per click advertising certainly has its place, there are so many other lucrative (and more cost efficient) digital marketing strategies to consider for your business. With social media platforms growing at an exponential rate, and influencers popping up that are willing to advertise your brand to a massive, highly targeted niche audience for minimal amounts of money, you’re wasting your digital marketing budget by spending 100% of it on Google or Bing Ads. Is marketing on social media sites worth it for small business trying to make a name for themselves? In today’s online environment, more of the world’s population is following business brands online than any other online presence, including celebrities. One of the main reasons why major brands have a social media presence on at least 2 or more of the major social networking sites like Facebook, Twitter, and Instagram is that building brand awareness on these sites (a.k.a. social media marketing) is unmatched by any other form of paid or organic marketing strategies and methods. Simply stated, no other web presence can match a popular social networking site’s reach, engagement potential, cost-effectiveness, and speed all at one go. Do you want a fast, inexpensive, and a highly-engaging way to reach your target audience? Many small businesses who are just starting out, whether a brick-and-mortar shop or an e-commerce site, are first and foremost looking to make a name for themselves. This is best done by having a social media presence. Because most people on social media discover new brands each and every day. In fact, roughly 60% of Instagram users discover new products just on that platform alone. Being able to reach such a large number – remember, almost half the world’s population – who have never heard of or seen your products or service before is reason enough to at least look into including social media marketing as part of your overall digital marketing strategy. Another major benefit of social media marketing is its ability to establish a business as a leader within their industry, which ultimately separates them from the rest of the pack. Providing your followers with regular and insightful information pertaining to your niche or industry establishes your brand as a thought leader and this ultimately establishes trust between you and your following. Trust easily converts into sales! According to the 2018 Edelman Trust Barometer, 63% of people trust those they feel are technical experts within their field and over 42% of people who trust businesses solely on their word alone. The key to building trust with social media marketing, however, is to provide your audience with content that is engaging, relevant and insightful. In other words, provide them with what they want first by driving them to an information piece on your blog or YouTube Channel rather than sending your social media traffic straight to a sales or product page. Brand awareness and trust are great for producing a loyal following but if that was all social media marketing was good for, it would not mean much to small businesses. The good news is that social networking sites like Facebook & Twitter are also great for driving business growth. 1 – Posts & Ads that drive traffic to a relevant blog post on your website. 2 – Social chats that engage readers and followers while at the same time supplying them with a relevant piece of content on your website. 3 – Social media lead advertising options which are designed to provide a very low-commitment way of generating leads for businesses. 4 – Social media data can be used to advertise to those who are later on in the sales funnel – Awareness, Interest, Decision, Action. *** By setting up pixels for your social media accounts, like a Facebook pixel on your website, you can actually tailor your social media ads to each person who has taken some specific action on your site related to one of the phases in your sales funnel which will increase your chances of higher sales conversions. If you want your audience to engage with you, you will have to engage with them. Social media platforms are not like traditional media venues where the only communication between the brand and their audience is the brand speaking to the audience (one-way street). On social media networking sites like Facebook, your audience is allowed to post comments and questions and likewise, you can also reply back to those comments and questions. Just be sure to make your replies relevant to the questions or comments your audience posts as this will add value to the conversation and also build more trust between them and your brand. While a lot has been said so far about social media marketing and its ability to build brand awareness, trust, growth, and engagement for businesses, no real-world examples have been given thus far. 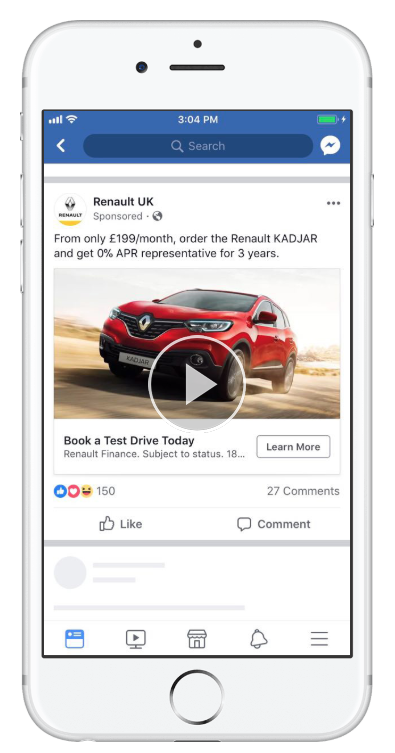 The following lead-generation Facebook ad increased Renault Europe’s test-drive bookings by giving interested parties the chance to book one with just a tap of their screen. *** By the way this specific touch-screen booking feature cost the company 8-times less per lead than another one of their ads which sent interested parties to a test-drive form on their website. They gained the leads faster with the touch-screen ad too. 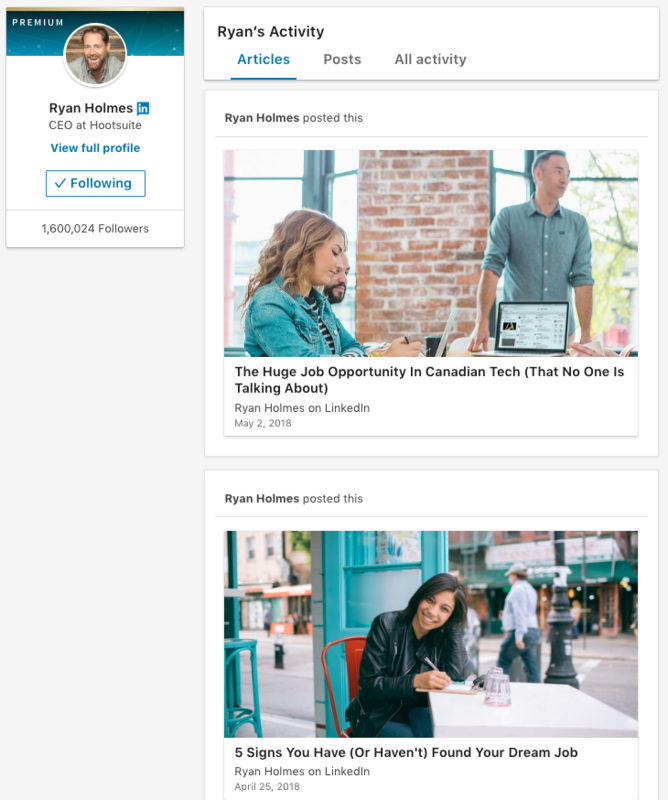 Hootsuite’s CEO, Ryan Holmes, continues to gain a massive following on LinkedIn by supplying his followers with pertinent information on social media, social media marketing, and entrepreneurship. Ryan has over 1.5 million followers on LinkedIn alone due to this strategy. Given the above information, it is pretty safe to say that if you are a small business who does not have a presence on a top-tier social media platform then you probably don’t have an online presence at all, even if you do have a website floating out there in cyberspace. Similarly, if you are engaging in other forms of digital marketing and not using social media marketing as part of your advertising strategy, then you are missing out on a whole lot of potential followers, leads, and customers – approximately half of the world! If you are on social media and continue to provide content, advertisements, and answers to your following so that your brand will grow, your small business will one day rank as one of the leaders within your industry or niche. Learn more about how D2 Branding marketing agency in Tulsa, Oklahoma can help your business grow! As the owner of a small business, you cannot afford to ignore social media; it is where consumers go to find brands and learn more about their products. Social media marketing lets you promote your business to your target demographic and build a community of loyal customers who can become your brand ambassadors. Posting a picture of your latest flyer on Facebook isn’t social media marketing. When is the last time someone shared an advertisement with you? Probably never since people share how-to articles, infographics and other helpful or engaging content. When people share your content, you expand your business’ audience without lifting a finger. A good rule of thumb is to create four non-promotional posts for each promotional one. Entrepreneurs rarely have free time, which is one of the reasons business owners cite for their lack of social media marketing. You don’t have to use Facebook, Twitter, Instagram, Pinterest, Google+, Reddit and Foursquare, but you should use at least two of them. Trying to be everywhere at once results in thin, infrequent content. You can schedule posts and Tweets with an automation tool, but you have to watch the news to avoid insensitive content, such as a promoting a blazing hot sale when there was a major fire in your town where people lost their lives. Facebook – Every social media marketing strategy should include Facebook since it is the most widely used platform. Facebook also allows you to target an audience by specific interests or behaviors in addition to a geographic area so you only pay to reach the people who are most likely to become your customers. Twitter – Businesses frequently use Twitter as a customer service platform to answer questions and address complaints. Don’t use Twitter unless you can address these issues within 24 hours, preferably sooner. Moreover, you need to remain professional at all times as other consumers will read your response. Instagram – If your social media marketing goal is to reach the 18- to 29-year-old demographic, try running an Instagram ad that allows readers to click through to a special landing page that is optimized for conversions. Pinterest – Pinterest has a predominately female audience. Use this platform if your product has visual appeal, such as fashion, food, destinations and home decor. Google+ – Google+ is a good platform for posting photos of your business and articles. If you need a boost in Google’s local search results, create a Google+ account. Reddit – Create a business account on Reddit if you want to run paid advertisements in a relevant niche subreddit. The news aggregation site is popular with males between the ages of 18-29. While many business owners don’t consider Reddit in their social media marketing plan, it is the 4th most popular website in the U.S. Foursquare – Foursquare is the ideal social media marketing site for local businesses. Ads are easy to set up and they appear when people are searching for a certain type of local business. You pay only if a consumer taps on your ad or visits your business. YouTube – Social media marketing on Tube can consist of paid ads, creative video content on your own channel or a combination of both. Creating engaging videos isn’t easy; you have to think like your customer. Would they benefit from a product demonstration or assembly instructions? Each platform has metrics, which you can use to gauge the effectiveness of your social media marketing strategy. Aim for followers and subscribers as these are the consumers who are willing to get more of your content delivered in their feed. Developing a social media marketing strategy isn’t easy but you have to go to consumers where they hang out online and learn to be social. D2 Branding in Tulsa, Oklahoma can assist you with your company’s social media marketing strategy. D2 Branding takes great care using the best social media marketing strategies to benefit your brand. After all, it is your reputation on the line. Small businesses are no longer limited to traditional print and digital advertising in order to grow and scale. With the advent of social media platforms such as Facebook, Instagram, Twitter, and Pinterest, social media marketing has become more popular and commonplace than ever. When you plan to launch a new social media marketing strategy for your small business, there are a few tips and tricks to keep in mind along the way. One of the key factors of social media marketing to keep in mind is that branding is key to creating a massive online presence for any type of business or brand. Social media marketing is an effective tool to build a brand’s online presence, even if you are launching a start-up or a small local business for the very first time. When you begin creating social media pages for your small business, it is important to implement logos and color schemes that are relevant to your official website or how you want your brand represented. Register social media pages for your small business using the same username to avoid confusing potential followers when they discover your presence online. Use services such as Google Analytics or Facebook to learn more about your followers to better serve them with relevant updates, ads, and promotions. When you have a clear understanding of the age, location, and even various interests your followers have it is much easier to deliver content that truly resonates. Track ad campaigns you launch using Facebook to learn more about which types of advertisements work best using A/B testing. Implement copy, messaging, and imagery that varies with each ad you launch to discover which methods of communication work best with your audience. Without consistency in posts and updates, social media marketing becomes increasingly difficult. Create a posting schedule with any social media pages you have created for your brand. Use a digital posting schedule to automatically share updates across multiple social networking platforms simultaneously to keep all of your followers and loyal customers genuinely interested in what you have to say along with new product and service releases. Skipping days, weeks, and even months at a time between updates is one of the quickest ways to lose the interest of your followers. Social media marketing is much more than simply sharing news, updates, and discounts using various online platforms. In order to catch the eye of new users while captivating your followers, the use of professional graphics and photography is a must. Professional graphics and other imagery draw attention to your posts whether a follower is viewing your brand in their feed or if you have launched a new social media marketing campaign using sponsored posts. Brands who do not implement professional graphics and photography and instead opt for low-quality designs are much less likely to expand their online reach while gaining the trust of new users and potential customers. Launch promotions, discounts, and giveaways using your brand’s social media pages to build a sense of community while increasing engagement with all of your followers and fans. Host promotions such as contests or giveaways to encourage users to share your page and posts with their own followers, providing you with instant free exposure and advertising. Require users to comment, share, or add submissions to your page in order to qualify for prizes such as free products and services or discounts and gift cards you have to offer. Share new giveaways and contests frequently. Get creative with promotions during holidays and times of the year which are most important to your users. Remain actively involved and engaged with your followers to maintain their interest and to increase the chances of having your brand and its page shared with new potential followers. Launching a successful social media marketing campaign is a way to maximize your online reach while also remaining relevant in any market or industry you represent. With the right social media marketing techniques, outperform your competition while solidifying your place among followers and prospective customers of yours online. Investing in an advertising or promotional strategy that is able to produce superior results can be a matter of critical importance, especially for small businesses that are struggling just to establish themselves. While there are many different marketing tools and promotional resources that may be used in order to create a successful online advertising campaign, social-media marketing can often be one of the most valuable techniques available to businesses. Marketing through a social-media site or service provides a range of potential advantages that are simply not possible through other promotional methods. The following list highlights some of the most important benefits that social-media promotional effort may be able to provide. A business’s brand serves as its public identity and any opportunity to build a more positive and easily-recognizable brand would be worth pursuing. From blog posts to customer interactions, almost every activity found on social-media sites or services can provide businesses with the chance to demonstrate their values, shore-up their image or to help establish a more unique and distinctive brand. Businesses that are unable to create or maintain the brand and image that will allow them to stand out from the competition could soon find themselves struggling just to survive. Customer relationships are another concern that can make or break new businesses. While there are other online and digital promotional techniques that can allow businesses to reach out and make contact with the same audience they would expect to find on a social-media platform, such efforts are often very one-sided. Being able to actively answer the questions and address the concerns of both their existing clientele as well as new customers and prospective clients can go a long way towards ensuring that businesses are able to establish and foster the customer relationships that may lead to greater success in the future. Few other promotional strategies may be able to assist organizations in their efforts to build and maintain more positive relationships with their clientele. Search rankings can count for a lot and marketing efforts like search engine optimization (SEO) which can allow businesses to benefit from a higher profile can play a key role in any marketing strategy. While SEO has a lot to offer, posting quality content to social-media services can have a number of additional benefits that businesses would do well to consider. Content-based marketing tactics that utilize social-media sites and services have the potential to reach a much larger audience than many businesses might realize. Marketing content and promotional efforts that are shared across the platform allow businesses to make contact with wider demographics and help to ensure that SEO and content-based promotional efforts are met with greater success. Promotional resources can be expensive, especially for new businesses that have limited funds at their disposal. Spending too much on an advertising campaign can rob businesses of the financial resources needed to manage other aspects of their operation and growth. Social-media marketing is one of the most cost-effective ways to promote a business one that may only require a few hours of work in order to produce results. Cost-effective marketing techniques can go a long way towards ensuring new startups are able to get noticed without breaking the bank. Not all promotional strategies may be ideally suited for every business and situation. Social-media marketing can provide a flexible and cost-effective way to promote a business, one that could be of greater benefit than many more established and conventional techniques. A firm understanding of what the best advertising tactics and promotional techniques have to offer can be of great importance when it comes to crafting or implementing an online marketing strategy able to produce superior results. Businesses that overlook the value and potential opportunities that only social-media marketing may be able to provide could be making a very serious and costly mistake. Unlike big corporations that commit big budgets in marketing, small businesses have to make do with small budgets. Effective use of that budget is not an option for them. The capital outlay required for direct mail, TV, radio, and newspaper ads is out of reach of most startups. Digital marketing provides an easy way out. Here are the benefits of online marketing campaigns. The amount of investment does not matter much; what matters most are the returns that you get for that financial commitment. The cost of winning new business through an online ad campaign is small when compared to all other methods. The cost of planning and executing campaigns is modest, and the campaigns can last a lifetime. Once you have an online ad, such as a video on social media sites, it will stay there forever unless you delete it. Sometimes your campaign may not hit the required target. In such a case, you may want to change it. Digital methods make it possible to change an entire campaign by making just a few adjustments. If you did not like the media you used, you could revamp them instantly. For a small business, this is important because every dollar matters. If you need to cancel radio or TV adverts in the middle of the campaign, scripts have to be re-written, and the whole production process goes to waste. Further, digital media allows you to combine images, videos, texts, and audios in one campaign, something that other methods cannot accommodate. The average shopper is online. Smartphones, computers and other smart gadgets make it possible for people to stay online all the time. If someone is not online through the computer at work, he or she is online on his or her iPad or phone. Using online profiles, one can make targeted adverts that will focus exclusively on the profile that you want. You can target business, individuals, events, etc. About 2 billion people use Facebook every month; Twitter, Snapchat, Instagram, YouTube and many other sites command billions of users, too. All these users are buying items online. In fact, most of them start all their buying decisions online. It makes sense to use these free online channels to reach out to as many people as possible. A single song on YouTube has raked 5.2 billion views — “Despacito”. Some tweets have had up to 100 million impressions. All these show you just how explosive social media is when it comes to putting your business out there. It is common practice to study the effect of your business decisions. One way of doing that is through tracking. If you invest $100 in social media marketing, you have to study the overall effect on the sales volumes. Digital marketing allows you to automate both the marketing and tracking of results. You don’t have to look at the numbers manually. You can combine various online tools to track your progress, which makes online advertising an invaluable business tool. Many other benefits of this business marketing strategy exist. It is up to you to take advantage of the various channels that digital marketing brings to you. Contact D2 Branding today to learn more about how digital marketing can help your business grow! Whether you own a business, have a blog, or simply have a professional website, when it comes to website design, you can’t afford to take risks on the website design options. Unless you are a website developer yourself, you should be considering hiring professional help to help you complete and publish your website with fully designed pages. Some people think that doing it yourself with those online website builders is the best way to go, but website design is more than that. In this article, we will look at several reasons why you should hire a professional as opposed to doing it yourself to make sure you get the best website design available. If you try to build your website yourself, chances are you’re going to run into issues when trying to make a custom design. This is especially true if you know nothing about writing code and designing a website for yourself. However, when you hire a professional website designer, they can take your ideas and concepts putting them into a beautiful custom website that best reflects your taste and business market. The website building options are often limited, but professionals are not limited to making custom designs that truly reflect who you are. Part of the expansion is growth in technological ways. The Internet is one technology that is constantly changing, and because of this, you will need new computer codes and technologies to boost visitors to your website. Professional designers consider this, giving you room to grow and change with the constantly changing trends in technology and website design. They can provide you with RSS feeds, video capabilities, and more to allow you room for expansion. This is something that the do-it-yourself website builders do not usually allow. Having a successful website comes down to people being able to find your website easily. Search engine optimization is a special technique the professionals use to boost views to your website. The technique employs certain characteristics that allow search engines to find your website quickly and efficiently. The website builders that people use to do it themselves do not allow for SEO compliance, which can seriously alter your chances of people finding your website. Professionals can make it easier and more efficient for clients to search for and find your website through various search engines. Contrary to what many people believe, website design is never finished. Just like many other things in life, website design requires a continual service and maintenance that many people just don’t have time for. If you are using a DIY website builder, then you’re going to have to do the maintenance yourself. Professionals, however, have webmaster services that constantly keep your website updated and fresh. Since technology is always changing, as we mentioned earlier, you will need that constant refreshing of your website to keep clients interested and to draw new clients to your services. It doesn’t matter if you own a business, run a blog, or need a professional profile website. When trying to build your website design, you can run into serious problems, find it is not very easy, and even lose time. Hiring a professional website builder can be a beneficial way to complete your website, get it published, and start drawing clients to your website for your products and services. Technology is always altering and changing, which is why professional website building is more efficient and helpful in the long-run. You want clients to be impressed by your website, and professional website builders and designers can help you get the website of your dreams. For more information about website design in Tulsa, Oklahoma contact D2 Branding today! Is Your Small Business Missing Out On The Power Of Social Media Marketing? How many small business owners would go to a meeting and pull out a flip phone from yesteryear? By not taking advantage of current technologies in your marketing strategy, that’s kind of what you’re doing if you haven’t made social media marketing an integral part of your marketing efforts and strategies. Ten, even five, years ago, thinking that the social media marketplace was just a passing fad or only reached select groups might’ve been an excuse, but the user numbers alone simply make social media, or digital marketing, a portal that cannot be ignored. The benefits are vast and potent, and you can guarantee that your competition is taking advantage of this pool of potential customers. 4.021 billion – the number of worldwide internet users in 2018. 5.135 billion – the number of mobile phone users worldwide in 2018. 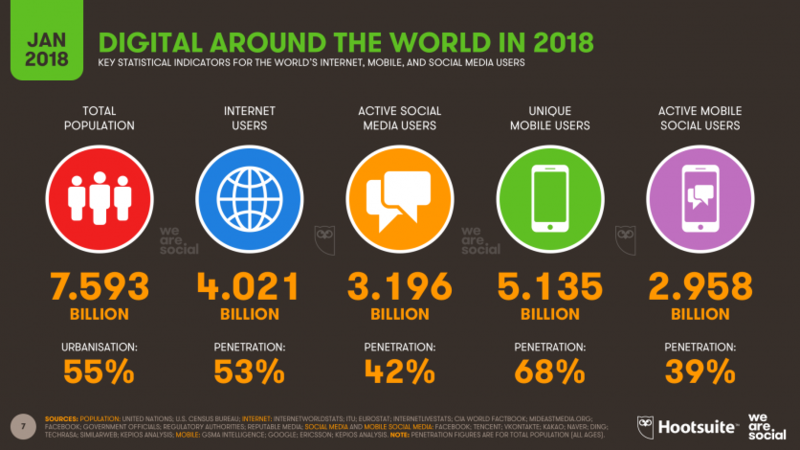 3.196 billion – the number of social media users worldwide in 2018. Facebook, at an astounding 76%, remains the social media with the most daily active users and logins. Social media users spend the most time on Facebook, Instagram, Twitter, and Snapchat. Facebook, YouTube, WhatsApp are the top three in terms of registered users. Facebook, WhatsApp, Instagram, WeChat, Snapchat, and Twitter saw the most growth in first quarter 2018. When it comes to interaction rates, Instagram dominates over Facebook and Twitter. It’s clear now that social media is an internet giant here to stay. It’s clear now that some social media portals offer a bigger and more active pool for marketing than others. 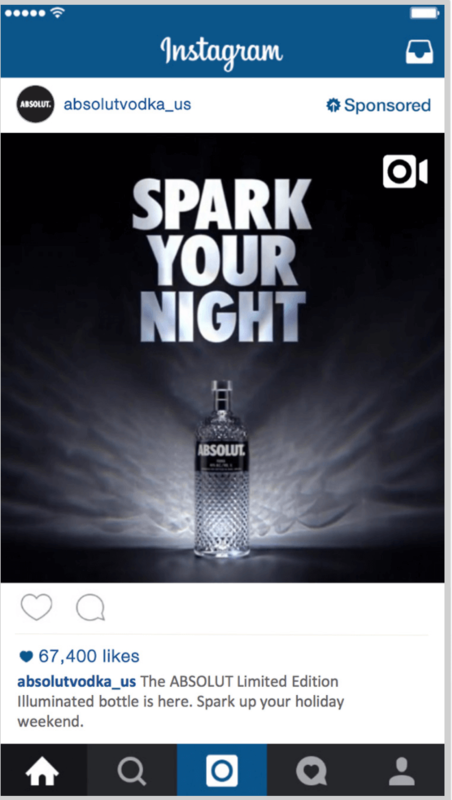 So, how do all these users interact with brands on social media? This is where ‘the right way’ of gathering attention comes into play. Posting behavior is reflective of your brand’s personality and an influencer as to whether a social media user becomes your biggest advocate, a buyer, or someone who unfollows you. Almost 30% of social media users report that they’re prompted to make a purchase from just seeing a brand’s social media posts. But, beyond conversion rates from various applications on social media, many users are using the platform as a portal for customer service; clients and potential clients want real-time answers to their comments and questions. On the other hand, 51% of users report unfollowing brands and 27% report blocking brands that make irritating posts. The key is in posting interesting, engaging, relevant content to resonate with your target audience. Keep these facets in mind as you begin to make social media posts. The public can find your content easily now and for future needs, and that content brings them into direct content with your website. And, those posts go on to become part of the feeds of users to attract more eyes to the content and clicks within the website. A hot topic link on Reddit can spawn five and six digit visitor numbers in a single day. Ultimately, the increased traffic also boosts your SEO efforts since the influx of traffic only helps to boost your search engine rankings. Through customer and potential customer interactions with your base and reading their tweets, posts, and snaps, you can gain insightful info on how they buy, why they buy, what types of content they share, what types of websites they frequent, and other such consumer behaviors that are completely raw and unfiltered by the stigma of a questionnaire. This is helpful in refining products, strategy, and fine tuning the art of conversion. While it’s imperative that businesses look at the business side of social media, most users still don’t see it as such. They’re there to engage – authentically engage. They want to see how brands behave, what the brand’s interests and offerings are, if the brand is stiff or has personality, if the brand cares about customers, and ultimately make a genuine connection. For the business, this translates to a long-term, meaningful relationship with loyal customers. A study by Texas Tech University recently confirmed what top-notch marketing firms have said for years – an active social media profile produces more loyal customers. These connections extend to industry leaders and experts, media sources, independent promoters, and entire communities. Facebook ads, for example, can pitch ads specifically to profiles based on age, education, search behaviors, location, etc to get your brand seen by the right people at the right time. Countless studies have shown that prompt, accurate, and friendly customer service is rewarded by customers and vice versa. Considering the average response time through traditional on-site messaging and emails is over 10 hours and customers want real-time action, this is a caveat that can seriously impact profits. Where do most customers go to vent frustrations and tout happiness? Social media. Having a highly interactive and engaging social media presence can help you immediately address complaints and concerns, keeping customers happy and your brand’s public image strong. An account is free. From there, businesses can choose in-house dedication to maintain the channel or outsourcing social media marketing. Even without the massive budget of big business, social media is the underdog’s best friend. Authenticity and quality posts will lead users to discover businesses and put them on the map. Singer Kane Brown shows the power of Facebook users in action. A couple of years ago, he was a broke kid posting his singing videos on Facebook to a couple hundred fan followers. Fans shared and shared and more fans gathered and gathered. Before long, his Facebook followers had propelled him into a brand, a brand that you couldn’t open Facebook without seeing someone posting about and that led to a music contract and path to national success. He went from a few hundred followers to almost 3 million, and he credits his Facebook following with his success. So, social media marketing isn’t about who has the biggest budget. It’s about who can connect with their base so that their power in numbers moots big business marketing dollars to even the playing field. In closing, these are just a few of the benefits to social media marketing. The possibilities and applications are endless. The important thing to take away is quality. Every social media engagement a small business makes should provide quality, whether that be in customer service, entertainment, education, establishing yourself as an authority, or ad placement. Contact D2 Branding today to learn more about how social media marketing can help your brand! D2 Branding got us over $98,000 in sales from our digital campaign. The ROI is more than 3x the return! D2 Branding's social media strategy got me 1,115 leads in 30 days and booked out my grand opening weekend! I am continuing to build this email list and retarget ads to them each month to keep us booked out! With D2 Branding's Facebook & Instagram campaign, we captured 1,937 leads to our email list and had 149 people redeem our offer in store in only 30 days. We are now retargeting ads to drive traffic to Mondays & Tuesdays and have had our best revenue days yet. D2's turn key system is rolling out to all of our franchisees to launch their new stores. Deedra and team are great to work with! We have had tremendous success with our first Facebook campaign. They hold you accountable and will help you reach your goals! We recommend them to anyone looking for help with social media marketing and search engine optimization. © 2019 D2 Branding. All rights reserved.